I have had a lot of questions lately about juicing with the Ninja Blender, so I thought it was probably time to run a “juicing refresher course” with a few key pointers if you want to juice with your Ninja Blender. The bottom line is that no matter what the Ninja Blender folks say, and no matter the model you own, it is a blender, not a masticating juicer. You can’t just put fruit and veggies into it and get pulp-free juice! While I think the Ninja Blender is a great addition to my kitchen, the infomercial is deceptive about its ability to make juice if you don’t know the tricks. I know this is a point of frustration for many folks, so hopefully the tips below will help. No matter if you want pulp-free juice or whole food juice, one of the main benefits of the Ninja is that you don’t have to cut up the produce into tiny little chunks – you can throw it in the blender in big hunks, or even whole if you wish. 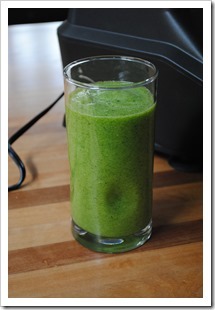 You can make pulp free juice with the Ninja Blender. If you’re doing a juice blend, I recommend using a mixture that includes a few water-dense fruits or veggies in your blend (like cucumbers, cantaloupe, pears, etc.) as it will let you add less water. If you are doing a single fruit or veggie juice with a hard food (like carrots), you’ll definitely need to add water. As time has gone by, I have figured out that about a cup of added water is ideal for most juices. To get pulp-free juice, straining is involved. Some people don’t mind straining; some people can’t stand it. Personally, I don’t mind because the clean up is infinitely easier than cleaning up a masticating juicer, which strains the pulp for you. Don’t throw away the pulp! You can turn it into lots of things, including tasty crackers. 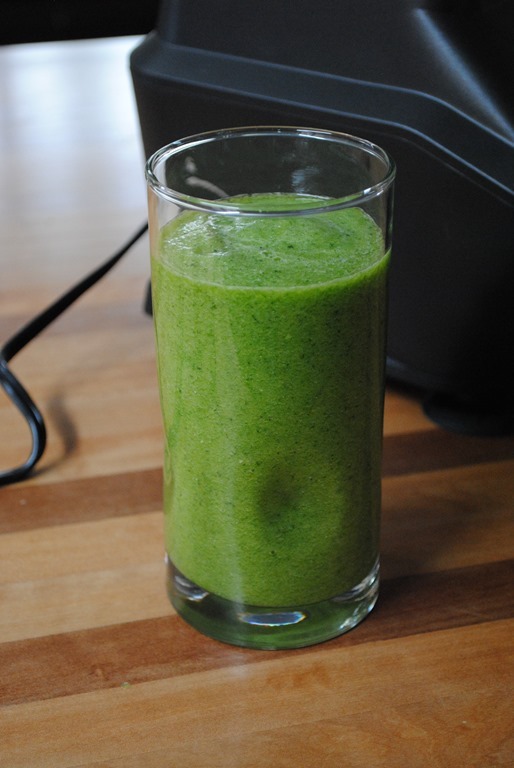 You can also make more of a thicker, but not truly “pulpy” juice or juice blend. To do this, you don’t need to add water, but you certainly can add to help thin it down. What is key is that you do need to add 4-5 ice cubes and blend a little longer than you would for pulp-free juice. I usually blend for about 90 seconds. The longer you blend, the smoother your juice will be. Just keep in mind, this juice will be thicker than strained juice as you have left the pulp in the mixture. I recommend your juice blends have some water-based fruits and veggies in it to help with the blending process, but if they don’t, just add water until you get the consistency right. And, there you have it, two ways to make juice in your Ninja Blender. I hope that little breakdown helps, and, if you have a favorite juice you make in your Ninja Blender, help other readers out and leave it in the comments! Thanks for the tips! I have a juicer, but just got a Ninja as a gift. So far it seems pretty complicated with all the options, but I’m just gonna go for it! Go for it, Jennifer! 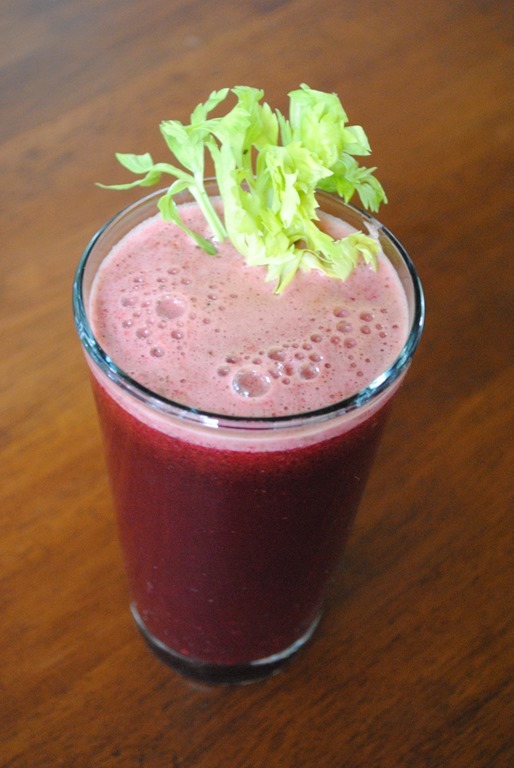 Since you have a juicer already, you might want to focus on the “whole food juice” that the Ninja can do and not bother with the straining aspect. Good luck! Hi again! Yes, I’ve just discovered your blog and have been randomly going through everything. I’m really enjoying it so far! I do have another question. What is the difference between a smoothie and a whole food juice? Because from your descriptions and what I’ve seen on the Ninja Mega informercials, it just sounds/looks like a fruit/veg smoothie. I mean, I’d add ice and peanut butter and sweetener to mine, as that’s my personal preference, but green stuff + fruits + ice + blending totally = smoothie to me. Is there a difference I don’t know about or are we talking about the difference between soda and pop, where it’s just a vernacular thing? Glad to you found the site! I think it’s somewhat semantics, but the way I interpret it, whole food juice just includes fruits, veggies, and water or ice, where as a smoothie could include things like protein powder, peanut butter, other supplements, etc. 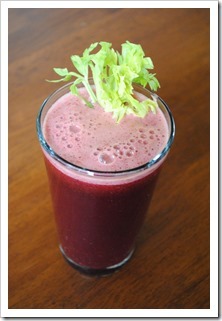 But, IMO, you are not wrong to think of a whole food juice as a smoothie! I recently purchased a Ninja mega. I just started using it and when using blackberries in smoothies, the seeds do not disintegrate and I am constantly spitting them out with each sip. Suggestions? You know, blackberries are one thing I don’t put in smoothies for that exact reason (in fact, in today’s recipe, I called for a mixed berry blend…and removal of blackberries). Their seeds are so small and so hard that I have never been able to get them to fully blend. However, one thing you could do is blend up the blackberries and liquid first, before adding anything else, and run it through a mesh sieve before adding all your other ingredients. That would get rid of the seeds while still letting you have the blackberry flavor. It’s an extra step, but might be worth it for you! Hey thanks for the reply. Good idea. Glad I’m not the only one hating those pesky little seeds. Hello Angela! I just want to say, thank you! !….for all the great advice, reviews, and recipies! much braver and try even more things! Keep up the great service to us all! Thank you, Janet, for the nice words! I’m glad you found some useful info on my site. Enjoy! I went for this one over the mega kitchen as I already have a good food p rocessor. Do you know how the 2 compare? In fact I do! Check out my juicing comparison of the two models here: http://testkitchentuesday.com/2014/06/03/reader-request-making-whole-food-carrot-juice-with-the-ninja-mega-blender-and-ultima-too/ When it comes to juicing, they are pretty much identical. Hope that helps, and enjoy!